The progress in medical resources and technologies has played an important role in improving people’s health. Various indicators can be used to measure the health level of a country. The mortality rate is a clinical result of health and medical sectors that quantitatively displays the state or change in health levels. The effectiveness of medical resources can be quantitatively determined with the changes in mortality rate and can represent the health level of a region. 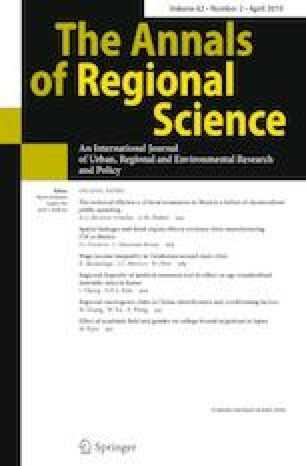 In this study, 16 cities and provinces in Korea for the years from 2001 to 2014 are set as spatial and temporal scopes. Doctors, medical personnel, specialists, and number of operations are introduced as human medical resources. The number of hospital beds and number of medical facilities represent physical resources, while the high-end medical equipment represents technical advancements. The result from panel analyses indicated that all medical resources considered in this study reduce age-standardized mortality rate, with medical facilities having the greatest influence, followed by specialists, then by high-end medical equipment. These results can be interpreted to suggest that medical resources and regional economic characteristics compositely have reducing effect on mortality rate. This work was supported by the National Research Foundation of Korea Grant funded by the Korean Government (NRF-2017066771).